We offer reserved free private spaces as well as free Public Garage Parking. We offer a private room with sliding glass doors & a TV that can be used for anything ranging from a business lunch to rehearsal dinner. We can accommodate 45 guest for a seated dinner, and up to 60 guests for a standing cocktail reception. 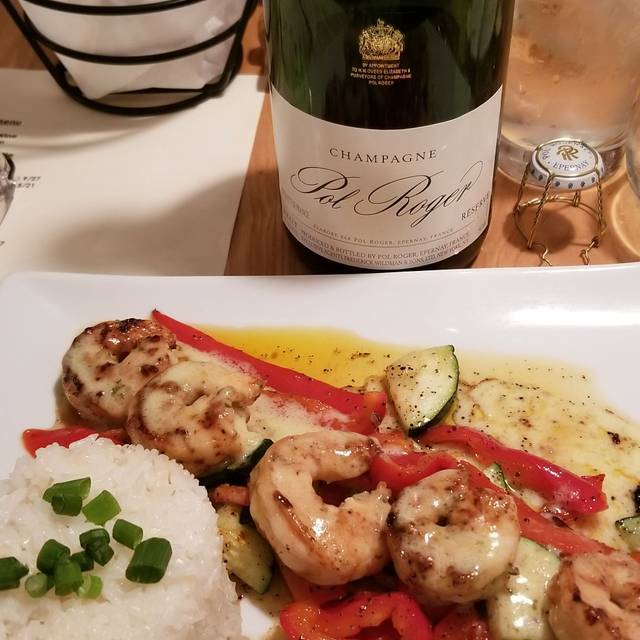 We are a locally owned restaurant that believes in the power of Italian Hospitality, Wine and Cooking to express our love of Italian Traditions and Culture. We make our own fresh pastas on a daily basis, and all of our ingredients are the freshest locally sourced around. We take great pride in our hand crafted menu inspired from all regions of Italy. Come join us for a bottle of Italian wine, and the most authentic Italian cuisine in the DMV. our evening together special. I would highly recommend this restaurant. Food and service were excellent. The owner Nino is a master and his kitchen and service is impeccable! 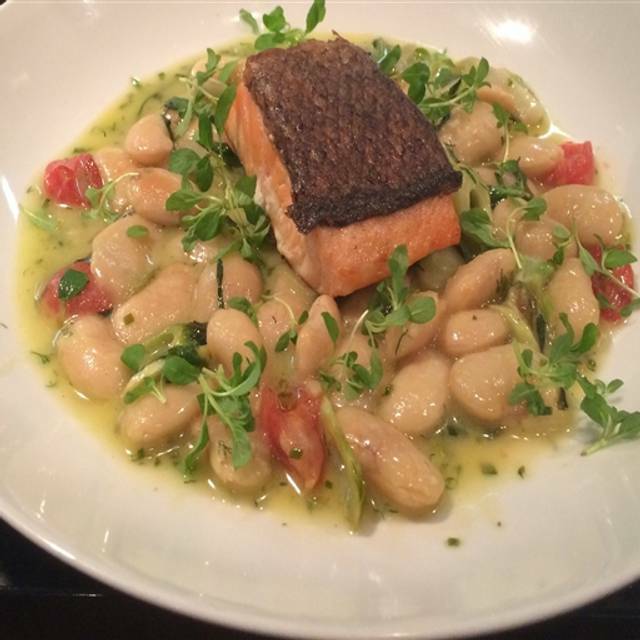 On a visit to Washington from Florida, we had the pleasure of dining at Osteria Da Nino. The gazpacho was creamy and refreshing. We shared the beet salad which was large enough for two and deliciously different. My husband thoroughly enjoyed the lamb ragu and my potato gnocchi was very filling. Our service was outstanding. A visit to our table by both owners was an added treat. Great Italian food! Great service! Highly recommended! The best Italian restaurant in the DC Metro Area!!! I go there often and always have a superb experience. Most of all, I enjoy the wide range of excellent and often new dishes. Nino the owner makes every visit an adventure in Italy with amazing food and hospitality!!! Branzino was fabulous. Halibut special was fantastic as well. Excellent service and good food. Highly recommended. Fantastic Italian, our go to for special occasions. Excellent service, we usually see the owner there personally talking with guests, you can tell there's a lot of pride put into this place. Food always great, plus save room for dessert, too many good choices to pick. I love Osteria da Nino! Nino is a treasure in and of himself. If he can't make you smile you'd better check your pulse! Great wine list -- a bit off the beaten path which is ideal for finding a new favorite. The staff is warm and friendly, quiet yet attentive. 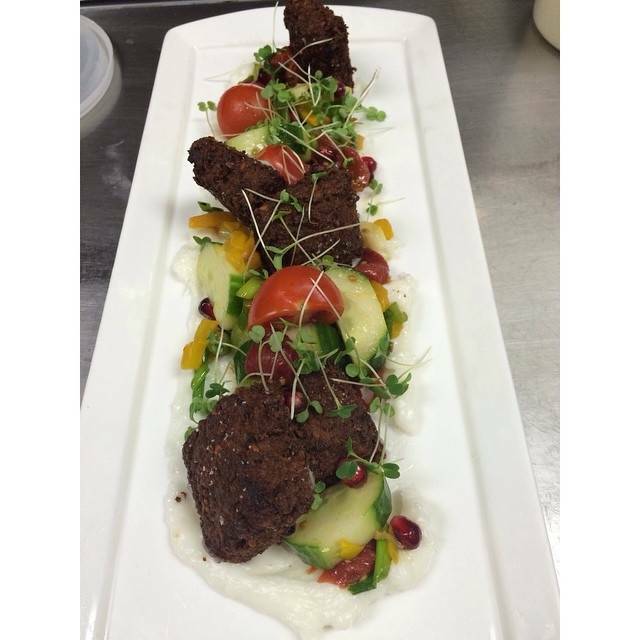 The food is always excellent -- simple yet beautifully prepared and presented. You won't be disappointed! Food would have received a higher rating, except that it took a long time to receive our food. The restaurant wasn't busy so it was confusing why it took so long. Also, the people who ordered a Benedict dish were disappointed that the eggs were overcooked. This was our first trip. We found the pastas excellent (duck ragu ravioli and spaghetti with clam sauce). The Caesar salad was okay, but the beet salad was a work of art: greens, beets, and cheese sitting on beet puree. Raw oysters were a steal and very good. The service was a bit too fast--our salads were on the table before our cocktails arrived. Otherwise, though, a very positive experience. 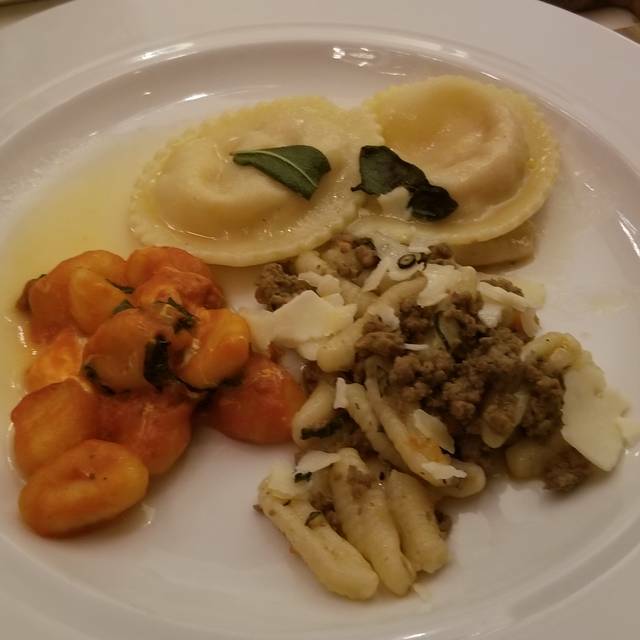 Very good and authentic Italian cuisine with many classic favorites including fresh pasta dishes that reminded us of some good restaurants in Italy. Love this place! Great food and drink, reasonably priced, excellent service, wonderful friendly and inviting atmosphere. Love! The fish dishes were terrific. I had sea bass and it was cooked perfectly; and the accompanying spinach, olives and oranges worked perfectly with the fish. My husband was very pleased with the fried oysters and the lamb ragu. Also the wine list has a number of wines by the glass which are outside the mainstream of what most restaurants offer. As always the service and food are superb. Nino is available throughout the evening to chat with, discuss wine pairings and evaluate specials being offered. Caprese salad is wonderful, with fresh tomatoes and cheese. If the wine doesn't meet your requirements Nino will always work to find a better or different one. If lasagna is available, order it! Everything is always fresh and well-presented. Quality food and service. The only issue I had was that it took a little too long for our entrees to come out. Overall though, a nice place. The food and the atmosphere was fantastic. We celebrated my bosses 94th birthday and a good time was had by all. Great place. Thank you Nino. It was a beautiful evening. My guest also enjoyed the evening as well as the very delicious dinner. Pleasantly surprised at how good it was. Great value for great food. Been dining since Nino opened. Great service especially Nino's wine recommendations not to mention his personality! Fantastico!!!! This restaurant is a successor to one of our favorites, Curious Grape. Location is just outside the main street of restaurants and shops in Shirlington. Nice decor, kept the same bar area. I had veal, which was good but not exceptional. Very good service. Waiter asked us how we wanted our bill divided (three ways) which was much appreciated. I would go again. A colleague suggested Osteria and I invited friends for brunch. We couldn't stop commenting on great food, good service and fair price points. We'll be back! Caesar salad was disgusting, ravioli was bland tasting, had to wait much too long for the salad (ordered 3 caesar). Overall, the food was not good, waitress had to tend the bar also. Drinks were hmmmmmmm. Waitress was beautiful and she really tried. It was obvious this restaurant was not ready for a birthday party of eleven for lunch. I would not recommend Osteria, I should have chosen a much pricier upscale venue. I thought everything was great at this restaurant, and the service was very good, but I rated service 4 stars because there was nowhere to complain about length of time for food arrival. Admittedly the restaurant had every table full, so it was a bit slammed throughout our time there. We always enjoy Osteria da Nino, so it was a perfect choice for a birthday gathering. Eight of us were there. Two ordered the special pork chop stuffed with prosciutto, and one found it underdone and sent it back to the kitchen. It was returned promptly, fully cooked. Everyone else enjoyed the house-made pasta dishes, including the special lasagna, seafood and chicken. We cleaned our plates! The noise level was moderately loud until the theatre crowd left at about 7:45. Thereafter, it was very moderate. The food was excellent and copious, and the service was pleasant and prompt. My only caveat is that some balance is needed between the daylight that floods through the windows in front, and the diminishing light in the back of the restaurant. Perhaps slightly less translucent drapes in front, and slightly more illumination in the back, would be helpful -- depending on how sunny a day it is. Lunch on a Saturday afternoon -- it was very quiet and we wondered whether the restaurant was as good as the reviews made it sound. Service was on the slow side, but we weren't in a rush so it wasn't a bother. The food was worth the wait! The four of us had different appetizers and entrees, all excellent. The one dessert - an almond olive oil cake with lemon - was fabulous. I would definitely go again. Osteria da Nino offers updated and classic versions of iconic Italian dishes. We enjoyed three-meat lasagne and porcini gnocchi, followed by a ricotta-pistachio layered cheesecake that I hope stays on the dessert menu. Our dinner was delicious from the appetizers to the entrees to dessert. Food was fresh and full of taste. the service was excellent and the owner came to the table a few times. Great experience. The food and service were both excellent. We had a 7pm reservation and were able to enjoy a relaxed meal over a couple hours. We never felt rushed by the wait staff and we were able to hear each other talking at the table, which can be rare in a Shirlington Village restaurant on a Saturday night. 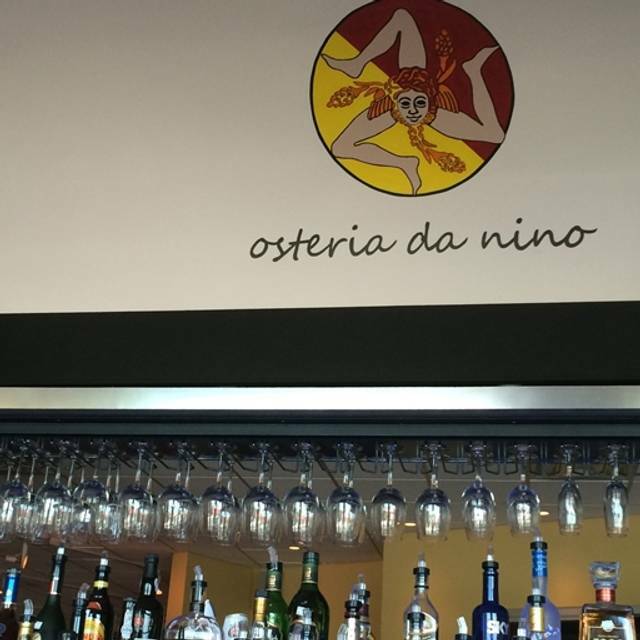 We love Osteria da Nino and have been customers since it opened. Nino brings an old world charm to all his diners. He and his wife greet you personally, come by the table to see how everything is. Servers are well trained and very pleasant. Menu items are as described--no surprises. Would appreciate a list of daily specials as my hearing is not the best, and the servers' accents are not always easy to understand. But beside that, we always come back. We were delightfully surprised at how busy Saturday evening was. . .but a lot of hard work has gone into promoting the restaurant, and it deserves the customers. Best bet at getting a table: 1) Come early or late on weekends, 2) Make a reservation, or 3) Try a slower weekday for walk-in. Free parking in the office building garage is a bonus. Varied menu with wonderfully prepared ingredients. Good wine selection. Some of the best home-made lasagna you will every have. Nino will often stop by your table to check on your satisfaction.